Note the following points if you intend to carry loads on the roof: • The rain channels are moulded into the roof as part of the aerodynamic roof design. It is therefore not possible to mount conventional roof luggage racks. 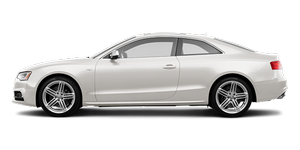 We recommend using the carrier units from the range of Audi Genuine accessories.